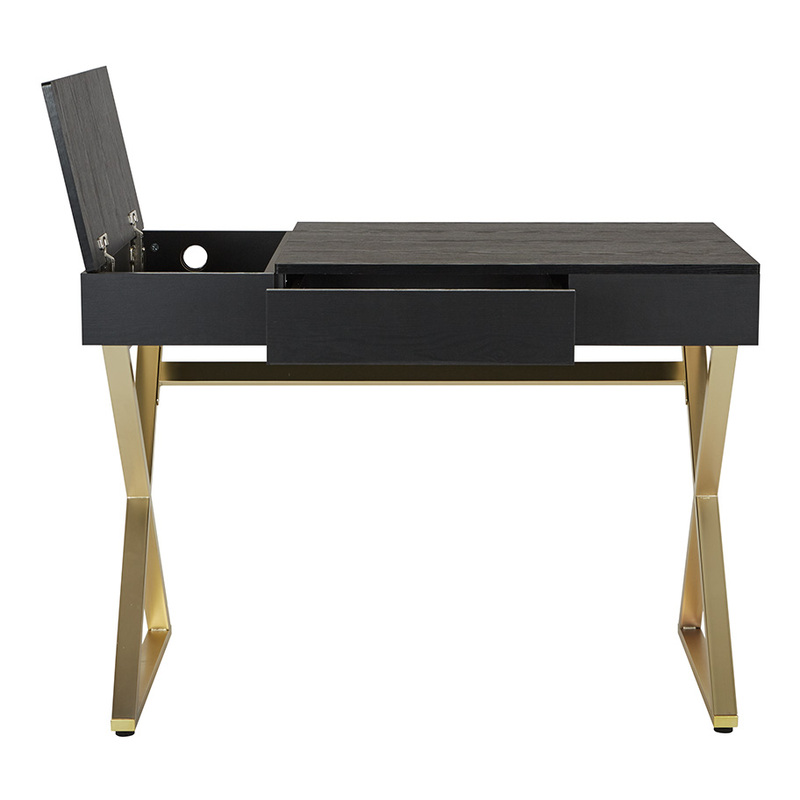 Bring on the glam in the home office with this chic black and gold desk. 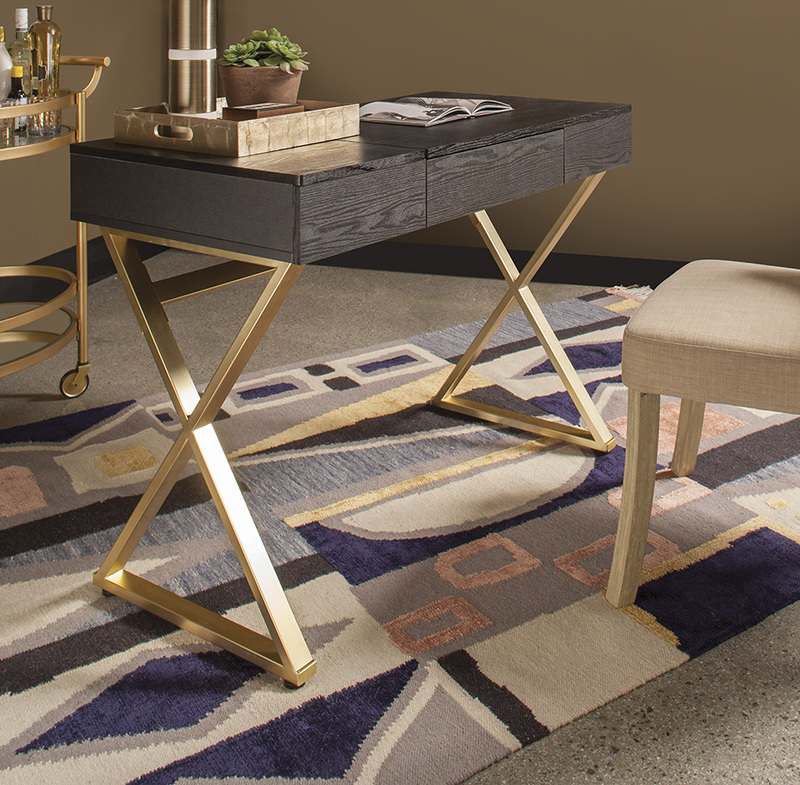 You’ll be a hub of productivity with the large work surface and ample storage space for your mobile devices, stationary, and office supplies. 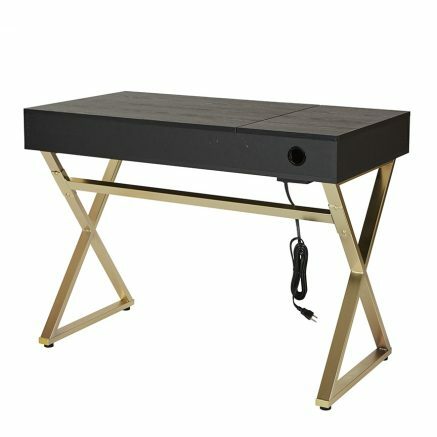 An in desk charging station makes it easy to power up while you work. Supported by a beautiful gold finish base, this writing desk is sure to make a statement. 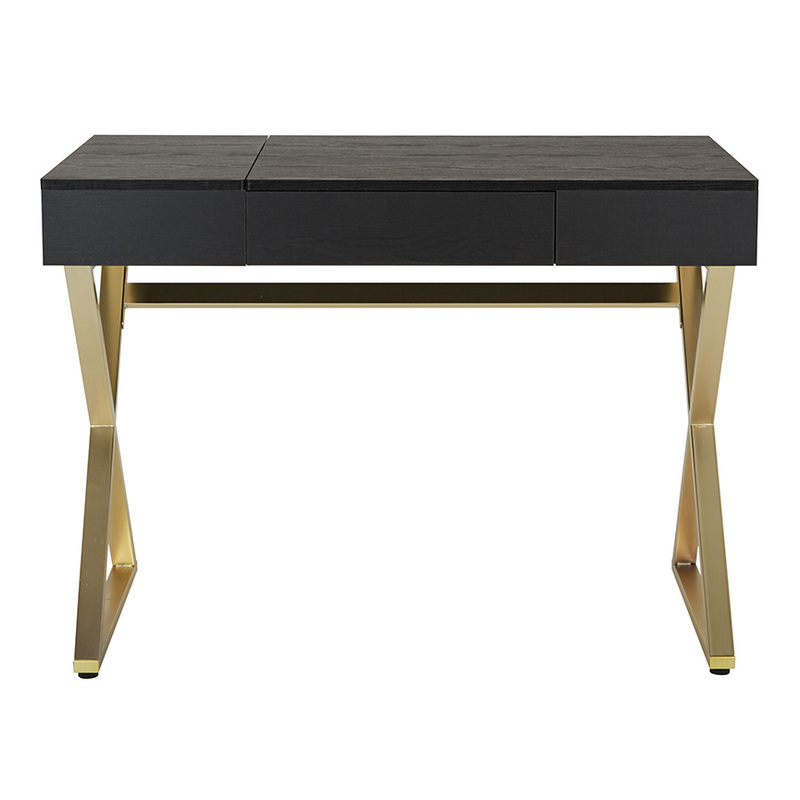 Upgrade your home office style with the OSP Designs Andrea desk.